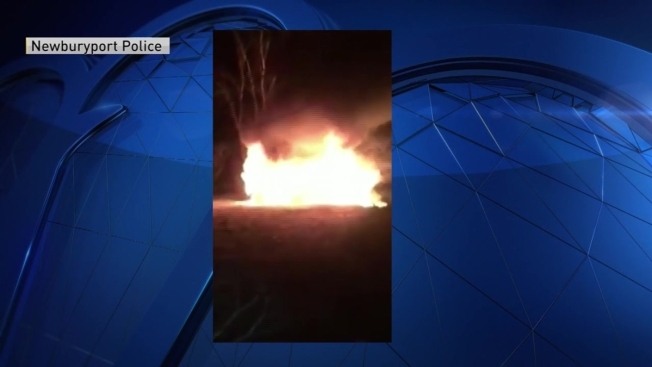 A car was intentionally driven onto the rail trail in Newburyport, Massachusetts over the weekend and lit on fire, according to police. Newburyport police say they responded to the rail trail around 10:30 p.m. Saturday and found the burned Mercedes E430. Anyone with information is asked to contact Inspector Chris McDonald at 978-462-4411.